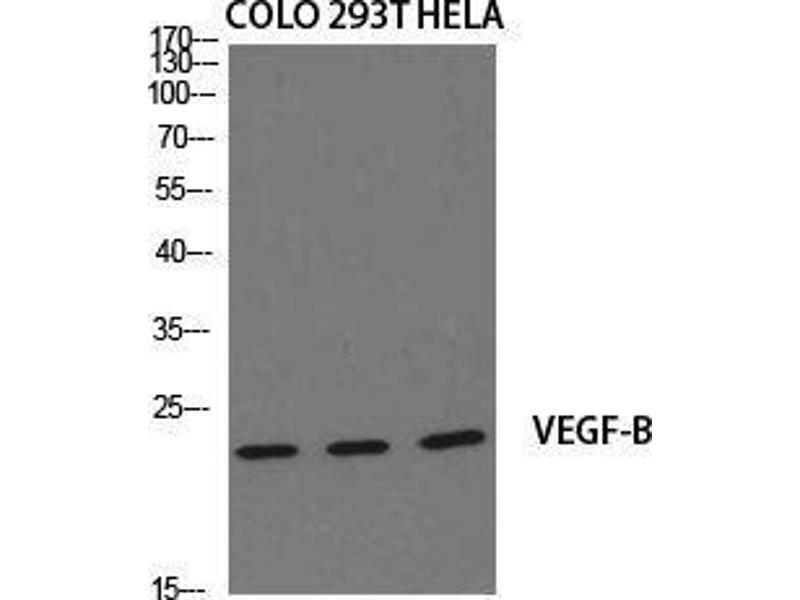 Western Blot (WB) analysis of specific cells using VEGF-B Polyclonal Antibody. 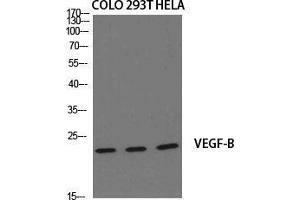 Specificity VEGF-B Polyclonal Antibody detects endogenous levels of VEGF-B protein. Characteristics Rabbit Polyclonal to VEGFB. 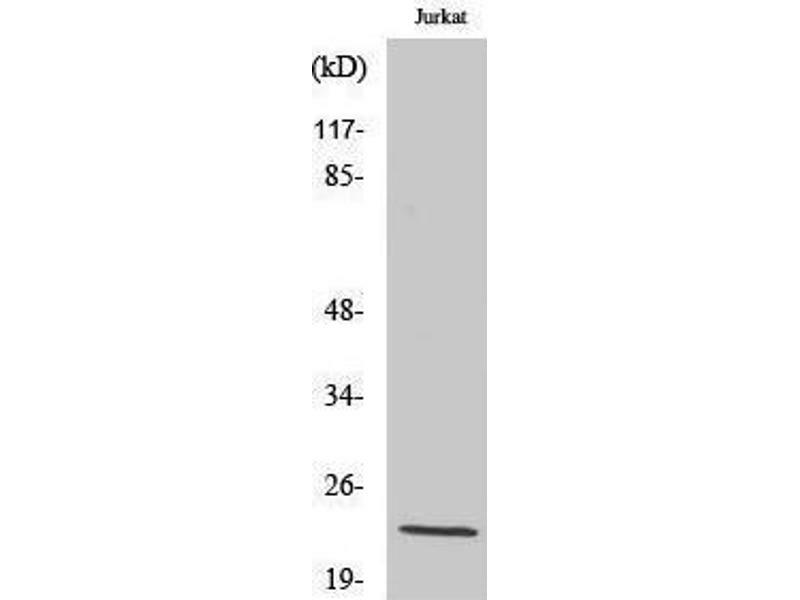 Immunogen Synthesized peptide derived from the Internal region of human VEGF-B.